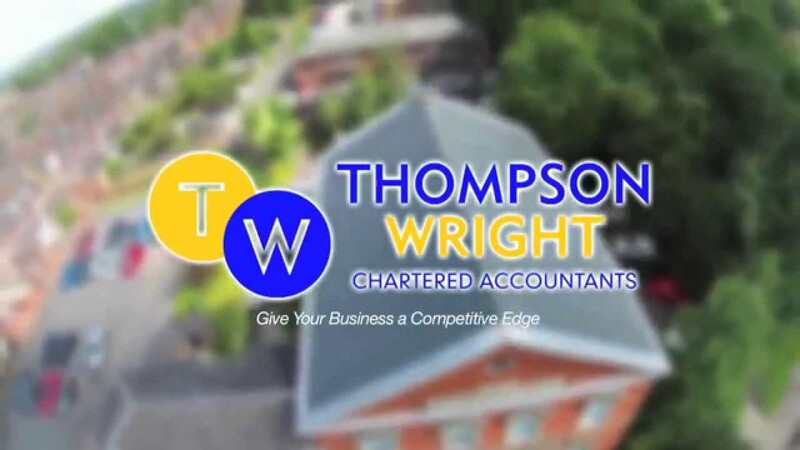 1.1 This Website is designed and hosted on behalf of Thompson Wright by Plinkfizz Limited (company number 4800048) who provide some of the information which is on this website. 1.2 In these terms and conditions: Plinkfizz Limited (company number 4800048) whose registered office is Lymedale Business Centre, Hooters Hall Road, Newcastle-under-Lyme, Staffordshire, ST5 9QF shall have the meanings set out in sections 736 and 736A of the Companies Act 1985) “the organisation” means the firm whose name appears on the home page located at the address as shown in the “About Us” section of this website, and “the Websites” means this Website. 2.2 Plinkfizz Limited will endeavour to allow uninterrupted access to the websites, but access to the websites may be suspended, restricted or terminated at any time. 2.3 Plinkfizz Limited assumes no responsibility for the contents of any other websites to which the websites have links. 3.1 The copyright in the material contained in the websites, text and graphics, and their selection and arrangement, and all software compilations, underlying source code and software (including applets) belongs to Plinkfizz Ltd or the providers of such information. All rights are reserved. None of this material may be reproduced or redistributed without our written permission. You may, however, download or print a single copy for your own non-commercial off-line viewing. 4.1 Plinkfizz uses reasonable endeavours to ensure that the data on the websites is accurate and to correct any errors or omissions as soon as practicable after being notified of them. Plinkfizz does not monitor, verify or endorse information submitted by third parties for posting on the websites and you should be aware that such information may be inaccurate, incomplete or out of date. To the extent permitted by applicable law, Plinkfizz disclaims all warranties and representations (whether express or implied) as to the accuracy of any information contained on the websites. Plinkfizz does not guarantee that the websites will be fault free and neither will accept liability for any errors or omissions. 4.2 Due to the nature of electronic transmission of data over the internet, and the number of users by whom data is posted on to the websites, any liability Plinkfizz may have for any losses or claims arising from an inability to access the websites, or from any use of the websites or reliance on the data transmitted using the websites, is excluded to the fullest extent permissible by law. In no event shall Plinkfizz be liable for any loss of profit, revenues, goodwill, opportunity, business, anticipated savings or other indirect or consequential loss of any kind in contract, tort (including negligence) or otherwise arising out of use of the websites, save where such liability cannot be excluded by law. 4.3 Plinkfizz Ltd does not give any warranty that the websites are free from viruses or anything else which may have a harmful effect on any technology. 5.1 You may obtain services from the organisation following your use of this website. Plinkfizz does not accept any liability for any such services. Any services are provided by the organisation over whom Plinkfizz has no control and you should satisfy yourself that you wish to purchase their services before contracting with the organisation. The organisation’s standard terms and conditions are in their engagement letter which should be provided to you by the organisation and you should check that you agree to those terms and conditions before ordering any services and goods. 6.2 Your name and password are the methods used by Plinkfizz to identify you and so are very important. You are responsible for all information posted on the websites by anyone using your user name and password and any payments due for services accessed through the websites by anyone using your user name and password. Any breach of security of a user name and password should be notified to Plinkfizz immediately. 7.2 If you fail to pay within the time stipulated above, Plinkfizz shall be entitled to charge you interest at 4% above the base rate at the relevant time of LloydsTSB. Such interest shall accrue daily and be compounded monthly. In addition, Plinkfizz may suspend your access to and use of the websites. 8.1 Plinkfizz Ltd is committed to protecting your privacy. Plinkfizz will collect and use information supplied by you and other users of the websites to improve the websites and personalise your experience when you visit the websites. Plinkfizz may also use it to tell you about changes in our services or about features Plinkfizz thinks you’ll find interesting. Plinkfizz does not sell, trade or rent your personal information to others. Plinkfizz may share the information with the organisation. By registering with Plinkfizz, you are deemed to have consented to use of personal information for these purposes. However, you can tell Plinkfizz not to deal with your personal information in these ways in the future by simply send an e-mail message to enquiries@plinkfizz.com. 8.2 Under the UK Data Protection Act 1998 Plinkfizz follows strict security procedures in the storage and disclosure of information which you have given Plinkfizz, to prevent unauthorised access. 9.5 You can read more information about cookies set by this website on our Cookies information page. 10.1 Plinkfizz may terminate your access to the websites and the services within them on not less than three days’ written notice to you. 11.2 Plinkfizz may modify these terms and conditions at any time by publishing the modified terms and conditions on this website. Any modifications shall take effect 3 days after posting on this website. If you have any questions about the security at our website, you can send an email to enquiries@plinkfizz.com. If a user’s personally identifiable information changes (such as your postcode), or if a user no longer desires our service, we will endeavour to provide a way to correct, update or remove that user’s personal data provided to us. This can usually be done at the personal profile page or by sending an email to enquiries@plinkfizz.com.